TRIALS experience courses are up to 5 hours in duration with a maximum of 6 people on a course at once. The courses operate every Saturday and Sunday and on weekdays by appointment. Manufactured in Spain Gas Gas have a number of TXT Pro and Raga models available, the Gas Gas bikes are very popular. Manufactured in France Sherco supply 125, 250 and 300 Sherco models available in our school. Manufactured in Italy Beta have a range to suit all sizes, Beta is known for its smooth power delivery and incredible steering lock, always a favourite with our students. Manufactured in Spain is one of the revolutionary trials bikes on the market – the Ossa TR280i (fuel injected) its a unique and highly capable machine. 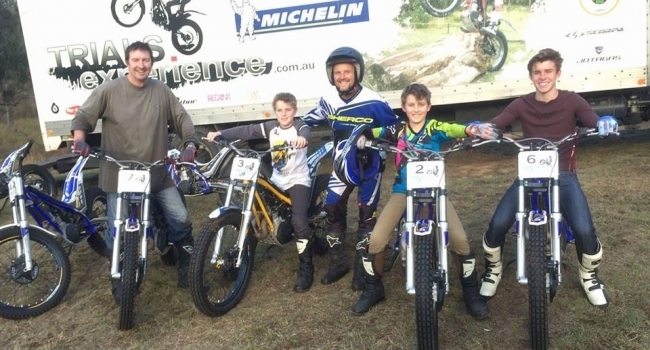 We have a sister company called Go2Wheels ( www.go2wheels.com.au ) who focus on teaching & educating kids using Oset Electric trials bikes. They have a range of demo bikes available for the kids to ride. These bike are very forgiving and a great place to start for younger riders wanting to get started in trials. Check out www.oset.com to see how capable these little gems are! A Trials Experience course costs $389 for the 5/hr format, $299 for the 3.5/hr, $189 for the 2/hr; which are very popular for gift vouchers. Check out our Course Information and FAQ pages for more information. Please don’t hesitate to give us a call today, we’d be more than happy to answer any questions you may have and to provide you with the latest information on course availability. 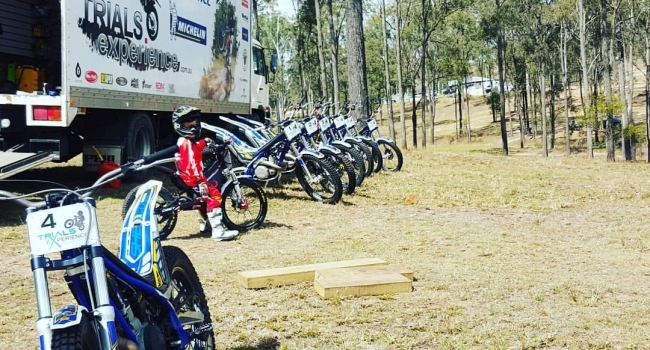 Trials experience is the first company of its kind in Australia to offer Moto Trials riding courses to all levels of motorcycle riders, from Beginner to Advanced and everyone in between. 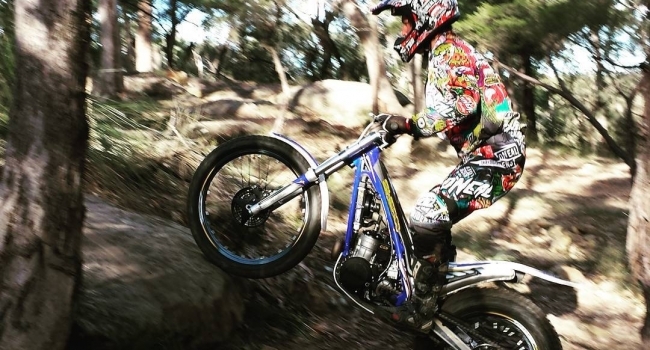 This is your chance to finally ride a trials bike! 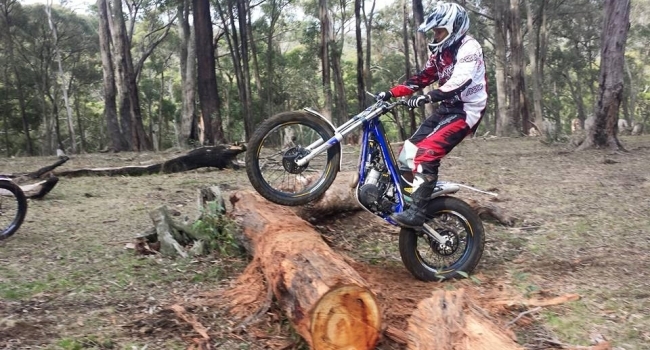 Whether you are a enduro rider, mx rider, road rider, want to learn how to ride or haven’t been riding in years this is your chance to experience riding trials on a late model bike within natural terrain and purpose built properties throughout Victoria, New South Whales, ACT and Queensland. Our courses run in the Macedon Ranges Region (Victoria), at the Oakleigh Trials Club (Victoria), Bilpin (1hr from Sydney NSW), Belconnen and Fairburn Park in Canberra, Port Macquarie and Queensland Cunungra. Kids courses are available too! 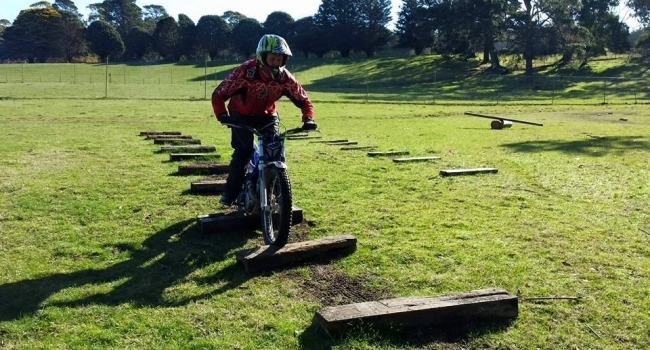 The training drills and obstacles are designed to be fun, provide a challenge and give you a taste of trials riding. We also take a tour to Spain every year for riding, sightseeing and visiting the Trials Bike Factories. 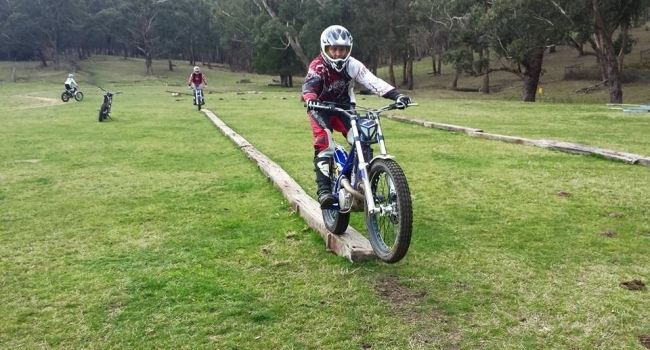 You don’t have to be a Trials Rider – Trail riders love it too! Call bookings on 0412 138 442 or email info@trialsexperience.com.au for more details. Why do a TRIALS experience course? AND ABOVE ALL… IT’S FUN!! Trials Experience © 2011. All rights reserved.